Here at Plum Deluxe, we talk quite a bit about dealing with food allergies and preferences. That could be because quite a few of our staff members have them! And no matter your reasons for eating the way you do, everyone deserves something delicious. Whether you’re playing host or being a guest this holiday season, here are our mouth-watering suggestions for everyone from vegans to the lactose intolerant. Cold-weather holidays call for comfort foods and hearty dishes. Karina at Gluten Free Goddess has a slew of wonderful recipes, including Grass Fed Beef in Pomegranate Sauce, Pork Roast with Mushrooms and Brown Sugar Apricot-Pomegranate Sauce, and Vegan Garden Loaf with Maple Apricot Glaze. 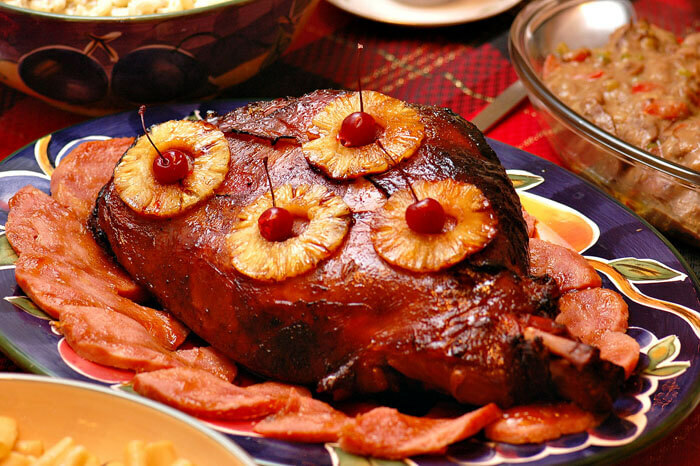 This simple and delicious Honey Glazed Ham from Yummly is perfect for everyone except your favorite vegetarian. For those lovelies, this delectable Vegetables Wellington from Vegetarian Times will do quite nicely. Gluten-free, dairy-free, soy-free gravy is a snap with this recipe from Eating With Food Allergies — no fancy ingredients required, and it’s absolutely yummy. For meatless eaters, try this vegetarian gravy option from Umami Girl. If you’re like me, a holiday meal isn’t complete without the green bean casserole. The votes are in, and this gluten-free, vegetarian Green Bean Casserole from Serious Eats wins the day — especially with its homemade French onions. 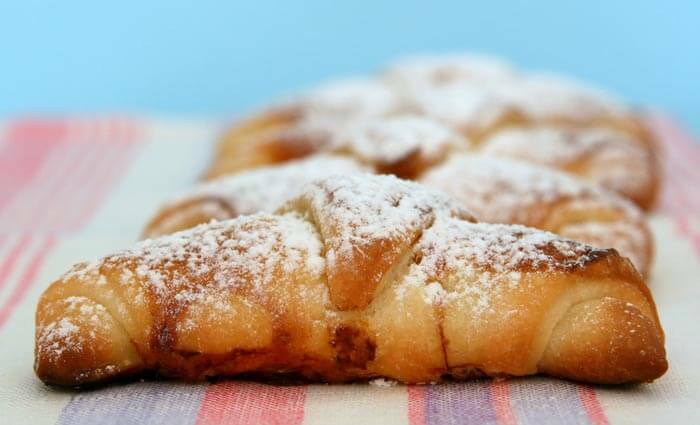 Those who miss their daily bread can get their fix with gluten-free, dairy-free croissants from Living Without or gluten-free, dairy-free dinner rolls from Megan at Allergy Free Alaska. Meanwhile, stuffing lovers will enjoy Cybele Pascal’s allergy-friendly, gluten-free Cornbread and Wild Mushroom Stuffing (with a vegan option). It’s not the holidays without some dessert, am I right? 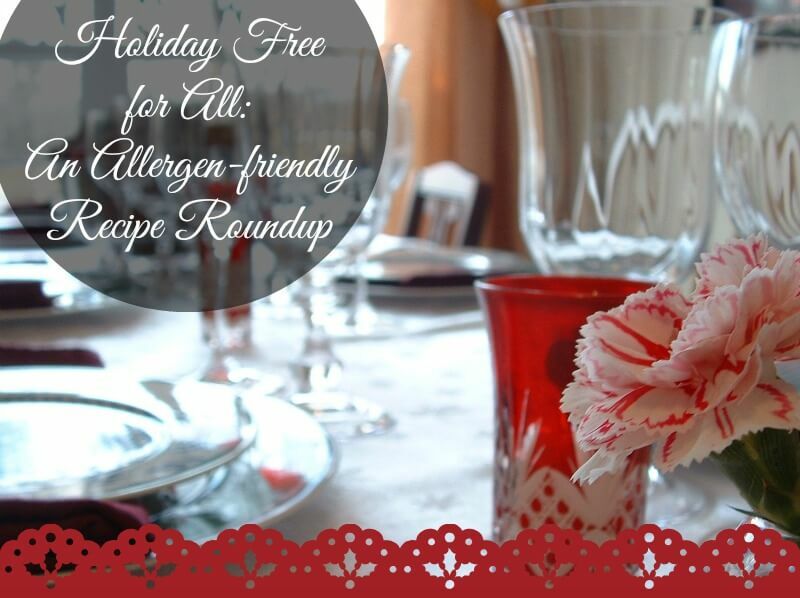 And just because you or your guests have food allergies doesn’t mean saying “no” to sweets. 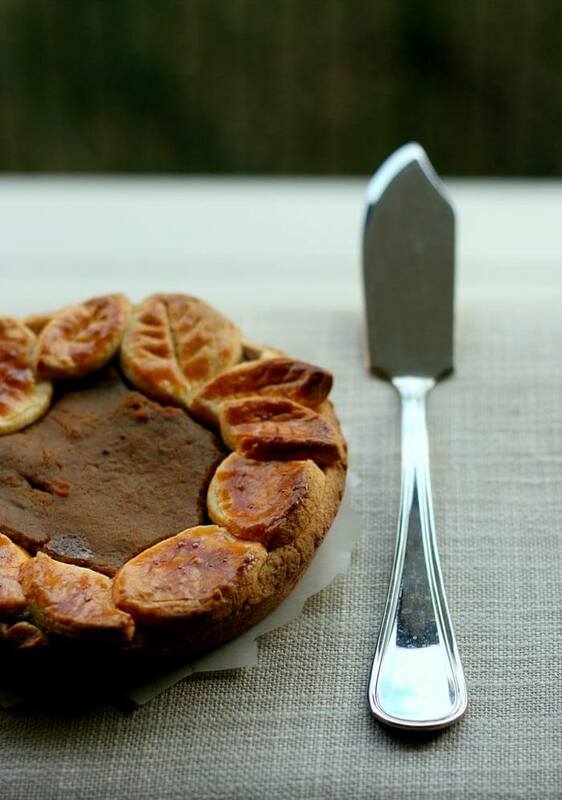 The Williams-Sonoma blog features a dairy-free, gluten-free, egg-free, vegan pumpkin pie with options: “fancy” crust, upside-down mini pies, and crustless mini pies. There’s also this tasty-looking grain-free, gluten-free, nut-free, paleo, vegan pumpkin pie from The Real Food Guide. If you want even more pie, GoDairyFree.org has an extensive list of allergen-friendly pies, from pecan to apple to a very decadent-looking Black-Bottomed Almond Mousse Pie. In the mood for some gingerbread? You bet you are! Try this Gluten Free Chocolate Gingerbread from Gluten Free Goddess, or these dairy-free, egg-free, gluten-free, soy-free Gingerbread Cookies from Eating With Food Allergies. Of course, I must include a recipe of my own. These almond cookies are gluten-free, yeast-free, sugar-free, dairy-free, and vegetarian, and they’re also surprisingly delicious. Whatever you serve or eat during this celebratory time, remember to do so with joy! Photo credits: BuDesigns, Chewy Chua, Ann@74, and Ann@74.